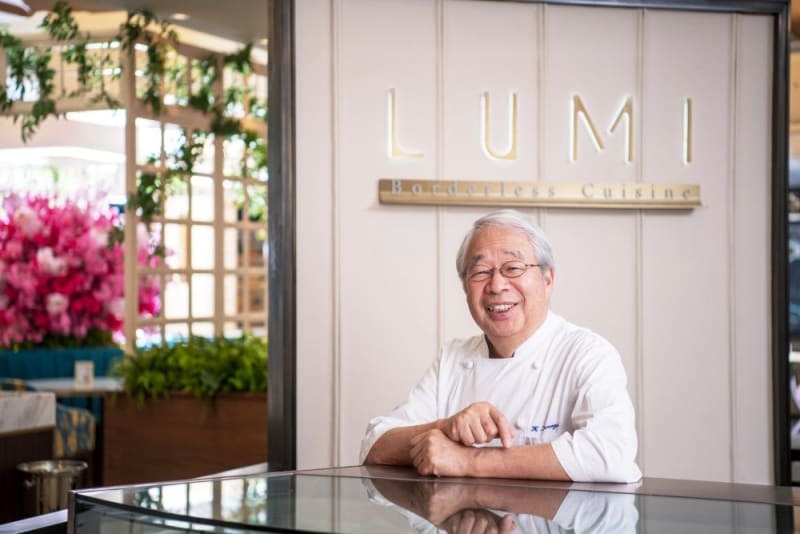 Tucked away on the third floor of Pacific Place, a new tenant has quietly moved into the space vacated by COVA (which has shifted to a floor below): LUMI, by Japanese chef Kihachi Kumagai. Contemporary, spacious and light filled, the restaurant’s unassuming interiors belie Chef Kihachi’s storied pedigree. With 50 years of cooking experience, the chef’s culinary career has taken him all over the world, from Senegal, to Morocco, to Paris and back to Japan. 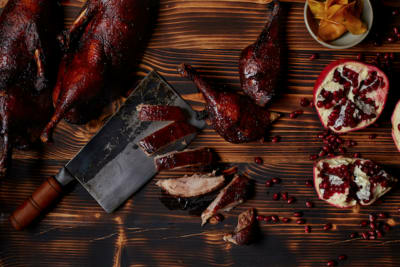 The myriad of global influences reveal themselves with finesse in his creations and techniques, hence the concept of “borderless” cuisine on which LUMI prides itself. 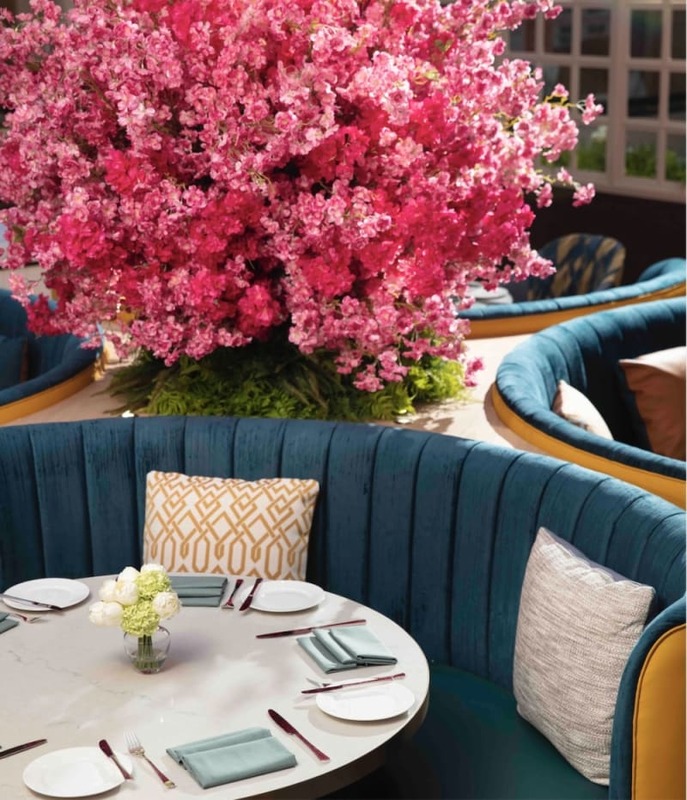 The restaurant was impressively busy when I visited on a weekday afternoon (I was told that the set lunches and afternoon teas have already acquired a considerable following) to try out several dishes from the à-la-carte menu. First up was the beef potage ($120) with shiitake slices, which looked deceptively simple considering how flavourful it turned out to be. The soup was served with herbed cream on the side; you can try the potage in its original clear form (a soothing, clean broth) or with the herbed cream (for additional richness) – both versions were delicious. I also enjoyed the Kobe beef mignon ($280), served with spicy miso sauce, garlic cream, burdock root chips and asparagus. 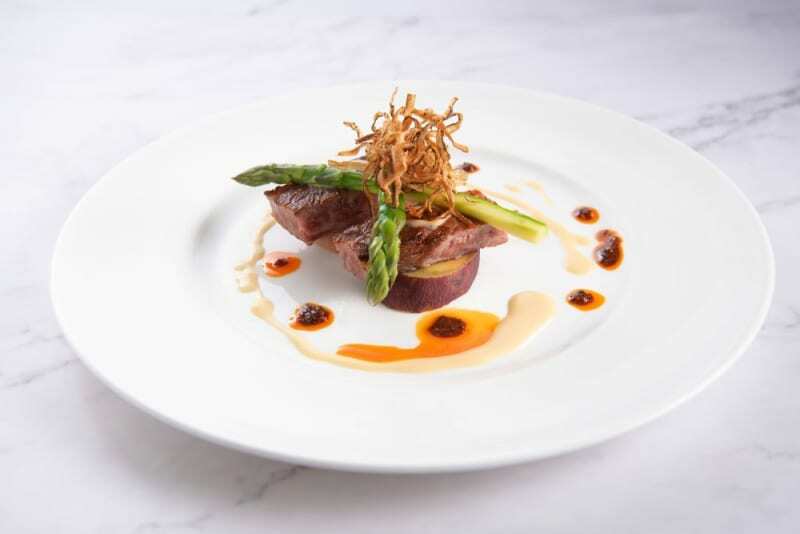 Beautifully plated with seasonal vegetables and sauces, the result was a careful balance of tastes and textures – a recurring, signature quality of Chef Kihachi’s creations. One of my favourite dishes was the pan-fried Atlantic salmon ($240), served with onsen egg, potato and salad and lemon dressing. Lightly pan-fried for a crisp exterior, the salmon flesh was tender and well cooked, smoked with sakura wood from Japan for over two hours to achieve an additional dimension of flavour. The spaghettini glacier ($220) would be perfect for warmer days and slightly more adventurous diners. Served with shaved asparagus ice, Hokkaido sea urchin, asparagus and onsen egg, the final result was unexpectedly creamy yet light and refreshing on the palate. 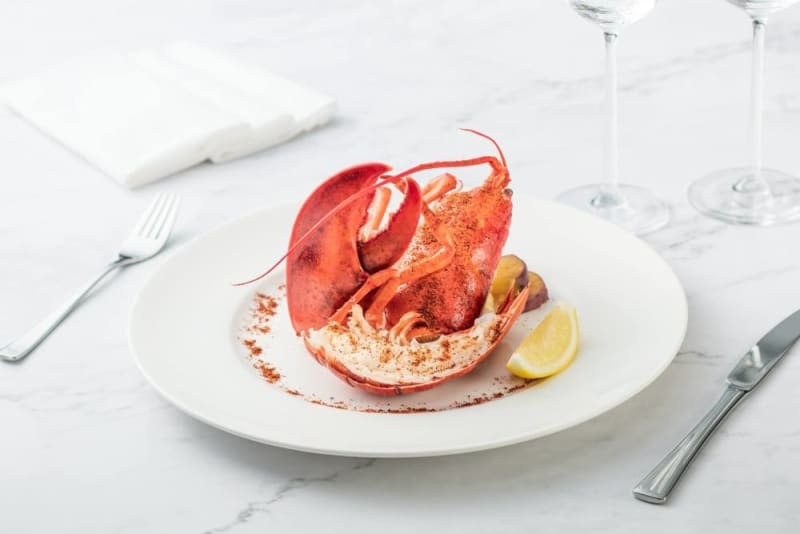 If you like seafood, you might want to try the sautéed Boston lobster ($400), which is prepared with Chef Kihachi’s secret recipe of some 13 spices for a deliciously aromatic finish. 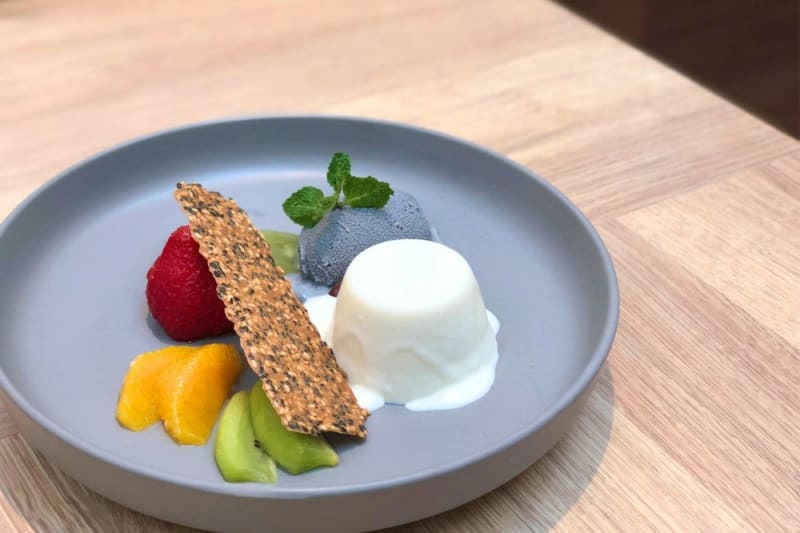 Save some space for the white sesame blan manje ($90), which is reminiscent of a white sesame panna cotta, paired perfectly with black sesame, red bean and assorted fruit and topped with a crisp sesame biscuit. 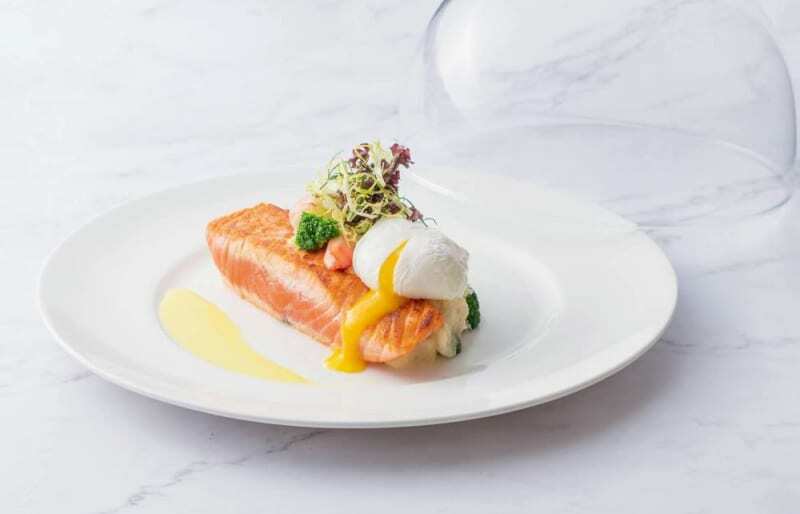 Chef Kihachi has hand-picked 29 dishes for LUMI’s menu (from some 3,000 that he had originally considered), so it’s no surprise that the food here is refined and skilfully executed. Chef Kihachi has said that these are the dishes he personally likes to eat over and over again, and I can certainly see why this is the case – I’m already planning my return visit.